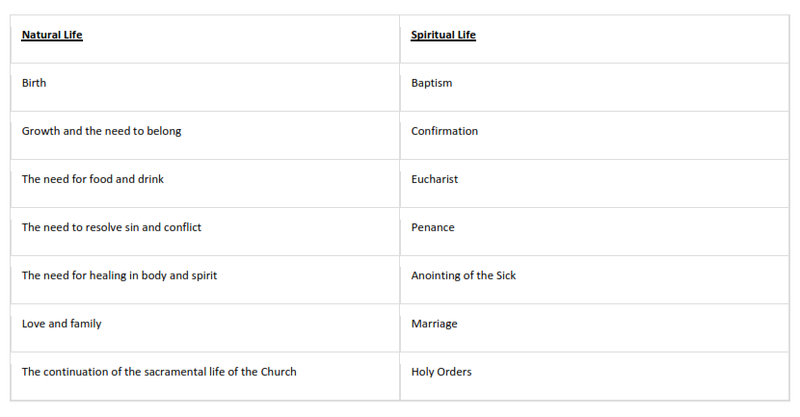 The sacraments are visible and effective signs of God’s grace. Instituted by Christ, each of the sacraments communicates the life of grace, God’s own strength and life, to the individual believer for the significant moments of the Christian life. The sacraments all use created things to communicate God’s grace in visible ways: water, bread, wine, oil, sacred words of promise, the imposition of hands in prayer. More than just symbolic rituals, the sacraments actually confer the gifts they symbolize; they are effective signs that allow us to see and experience the work of Christ in our lives. While the sacraments are received by individuals, one by one, they all aim at building up the life of the Church as a whole, strengthening the bond of communion with Christ and with one another.